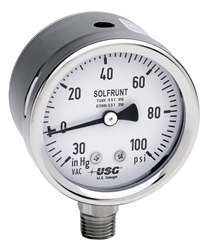 659 2 1/2" Process Gauges are designed for those applications where SAFETY is your top priority. The Model 659 provides users with a solid-front and pressure-relieving back design in all stainless steel construction. For use in chemical and petrochemical and other demanding applications.